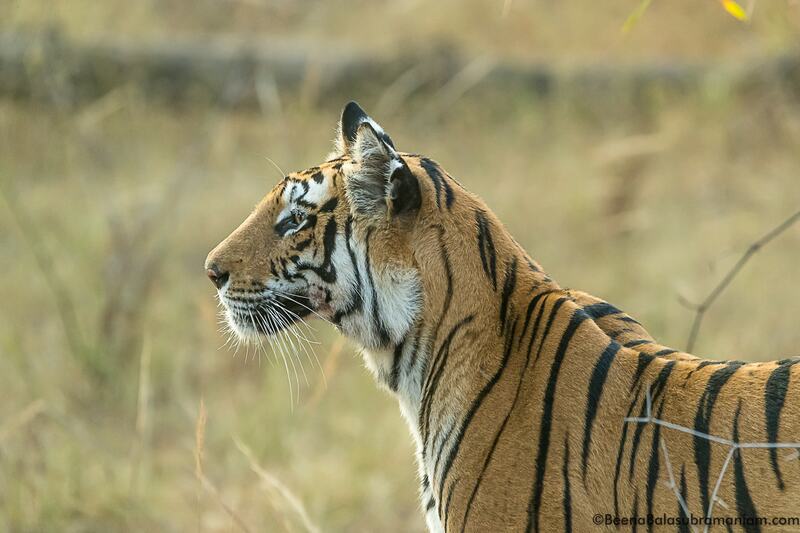 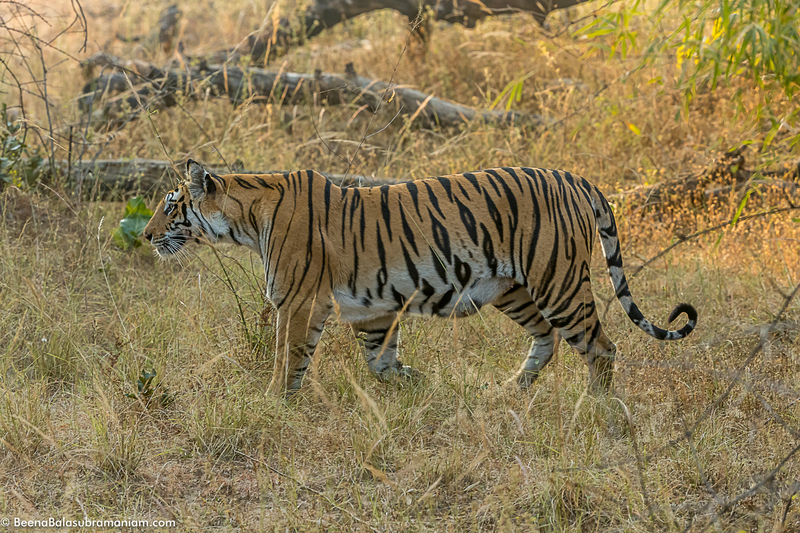 Spotty T 41 The Beautiful tigress from Bandhavgarh, dazzled us as she decided to bring her cubs out on a cold misty morning in January. 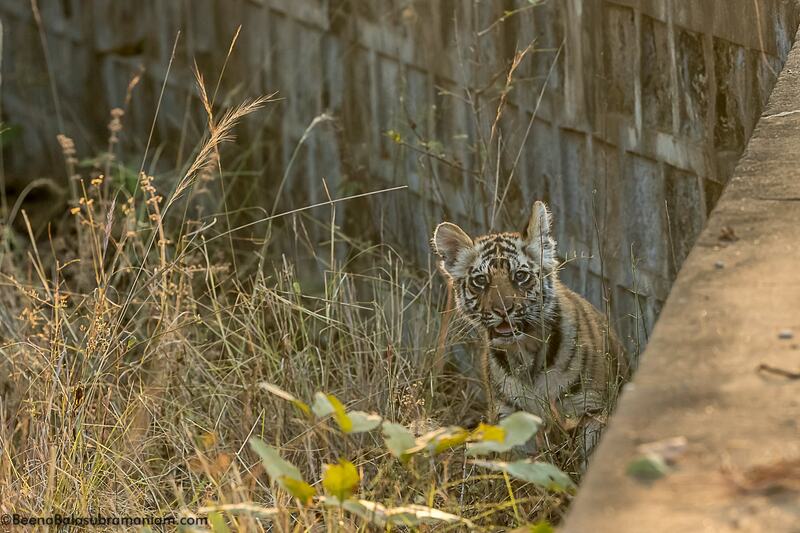 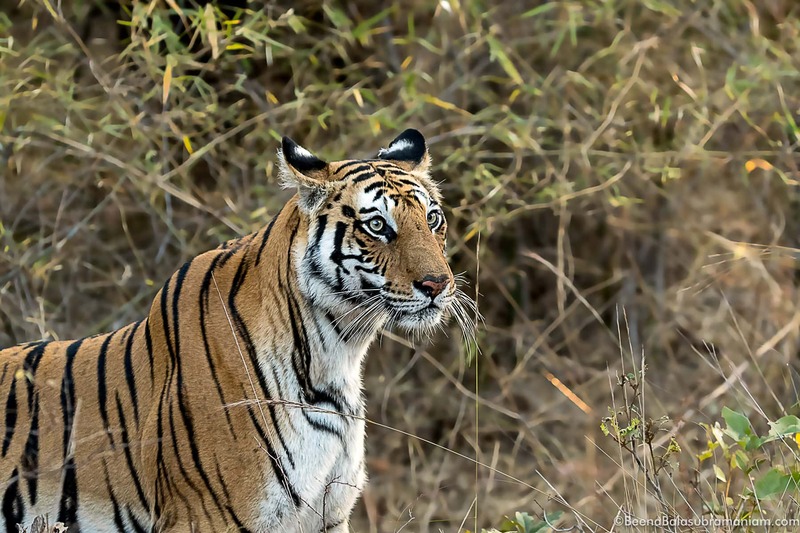 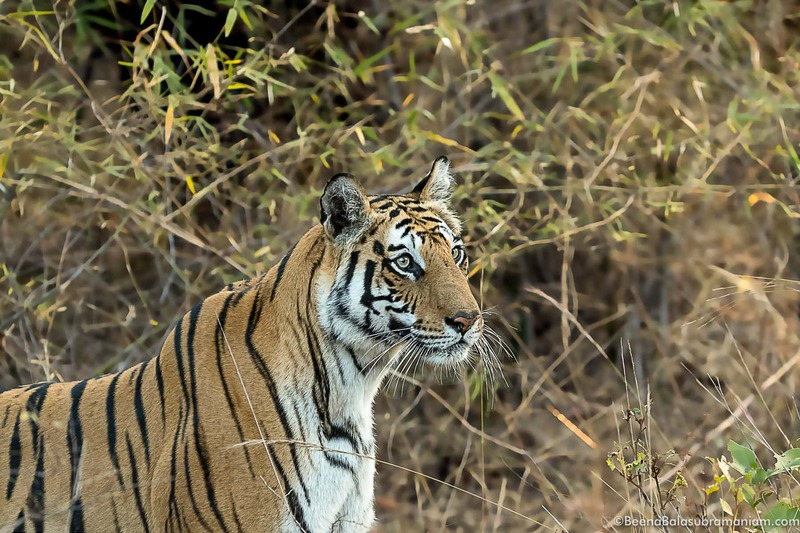 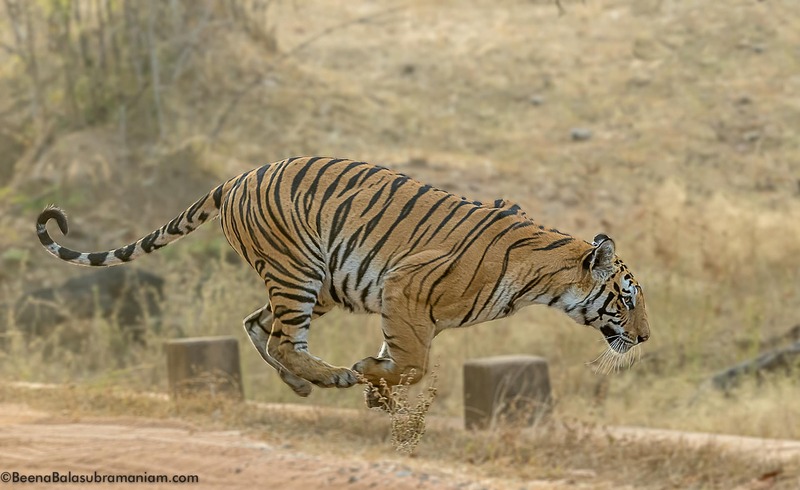 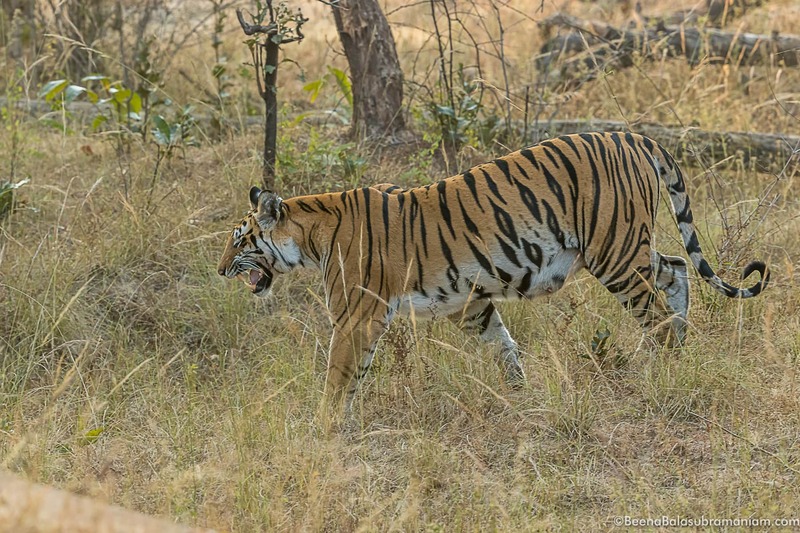 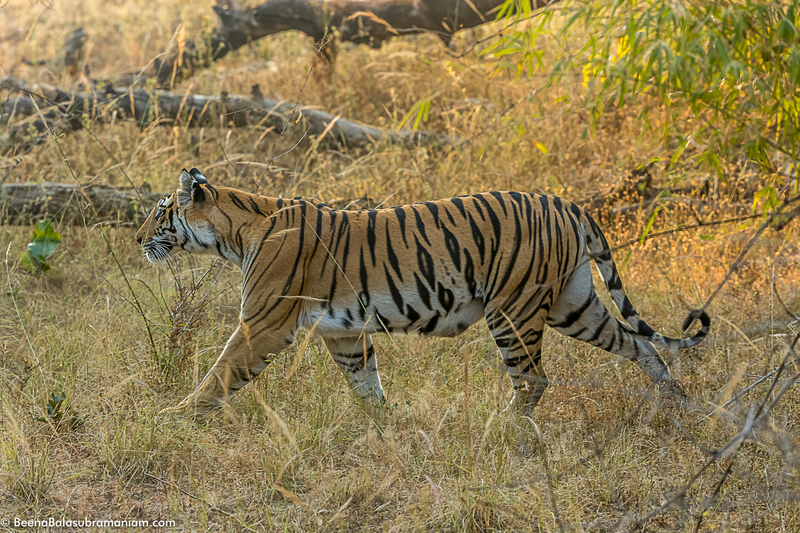 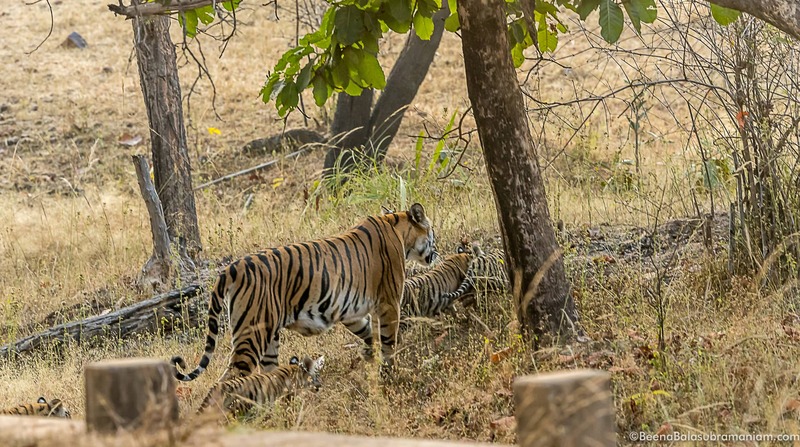 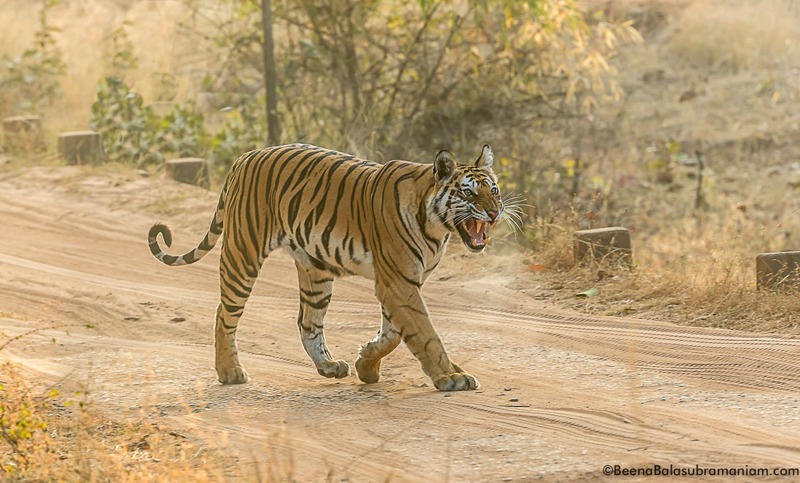 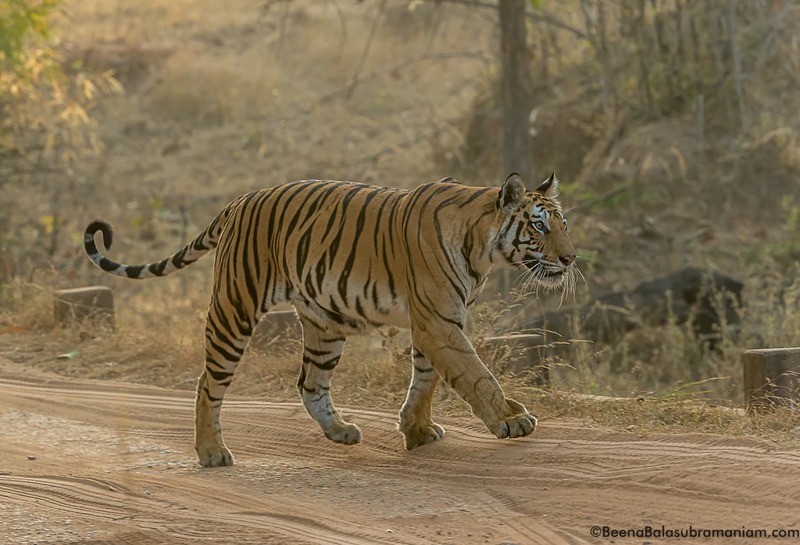 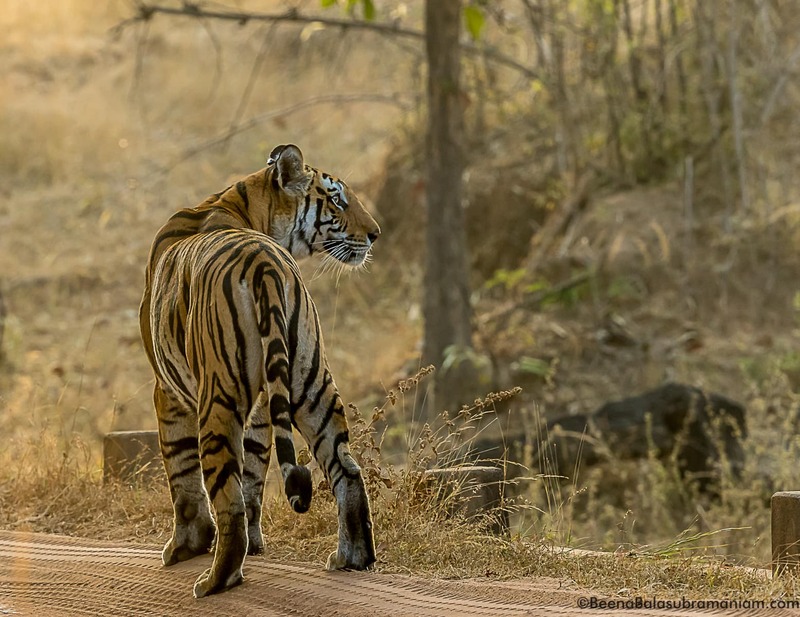 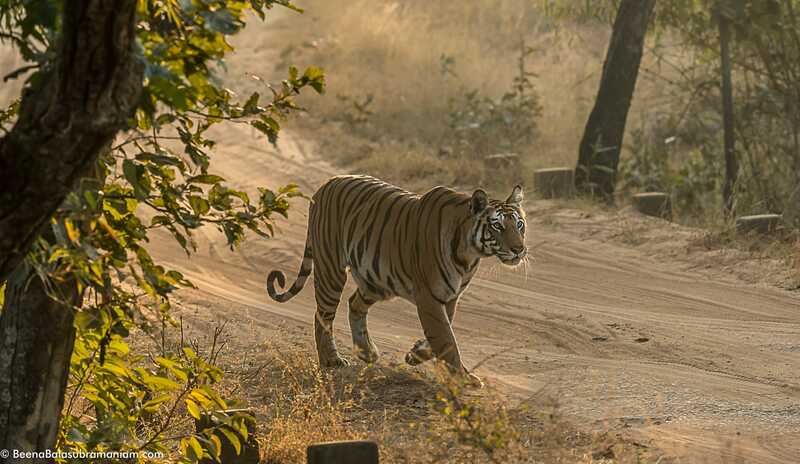 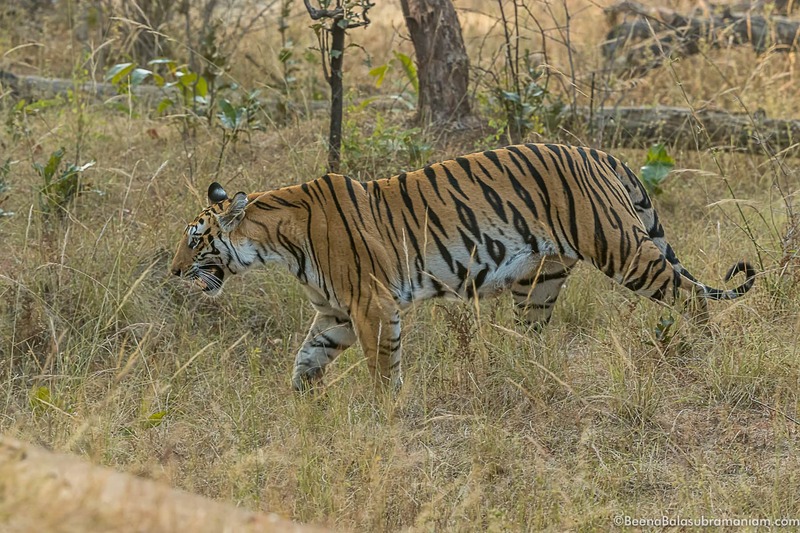 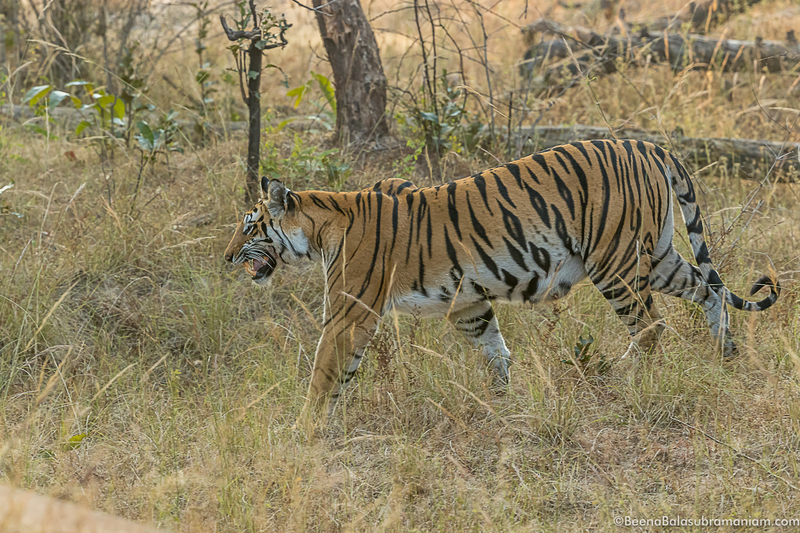 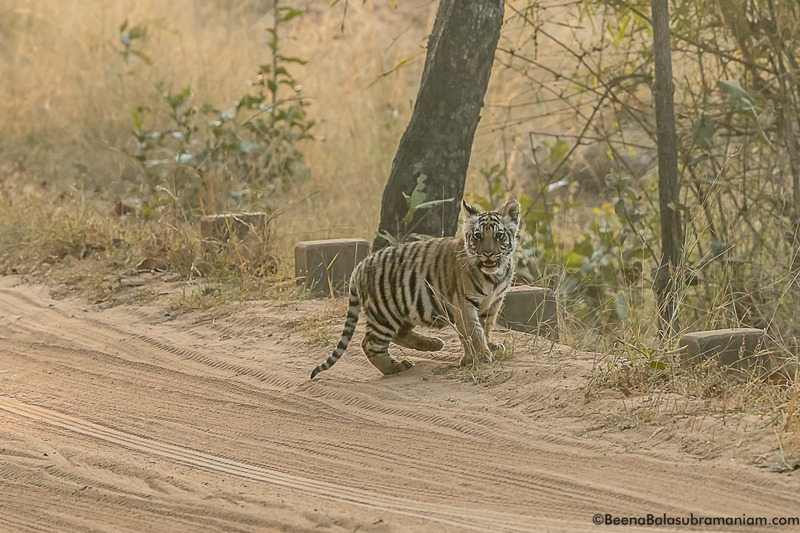 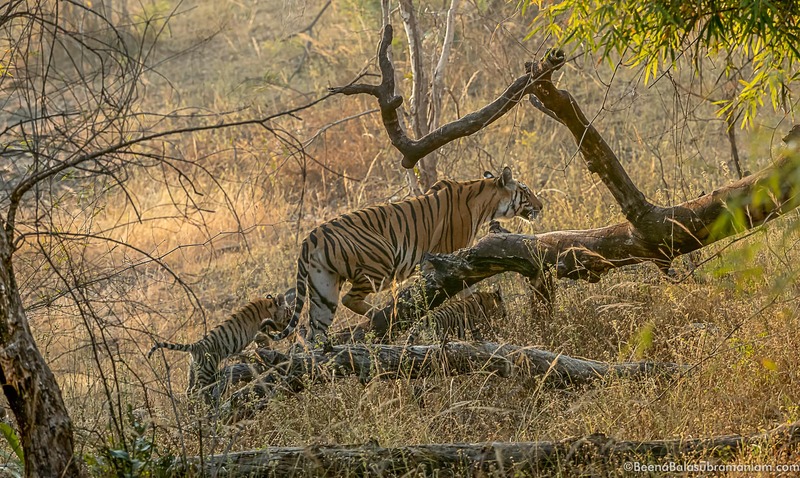 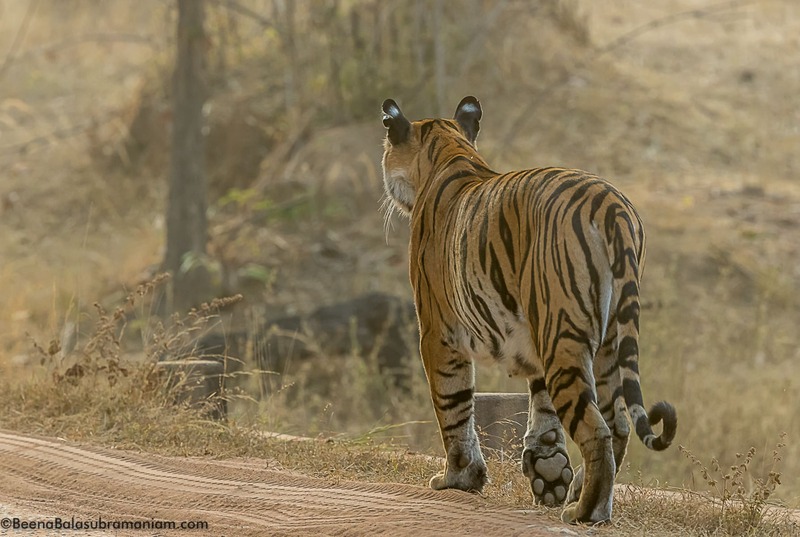 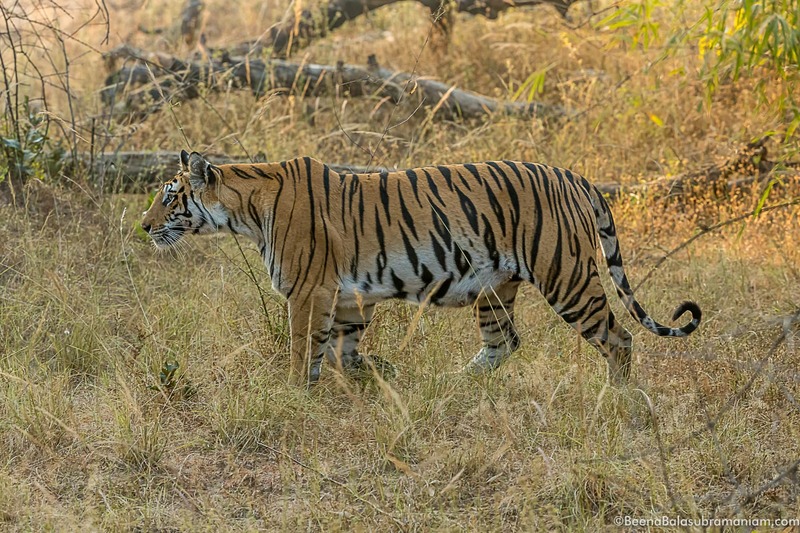 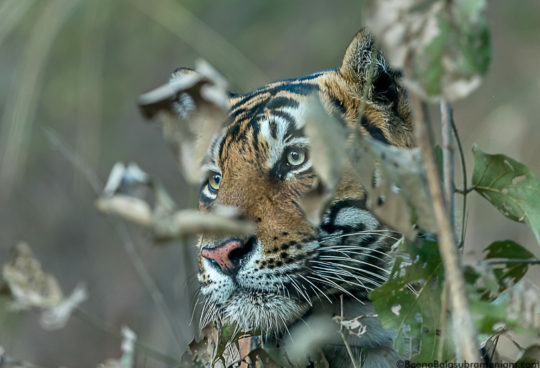 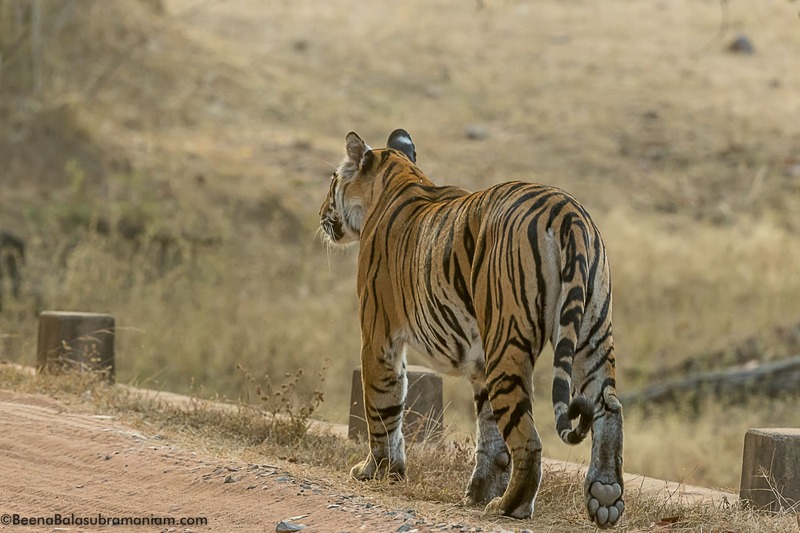 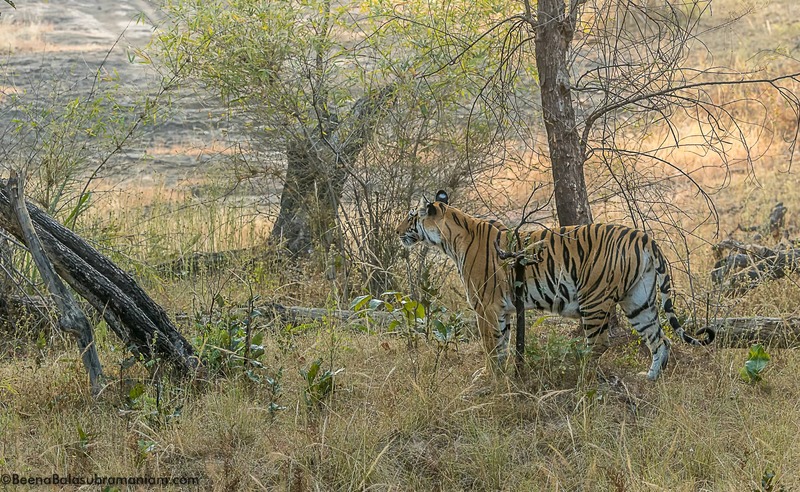 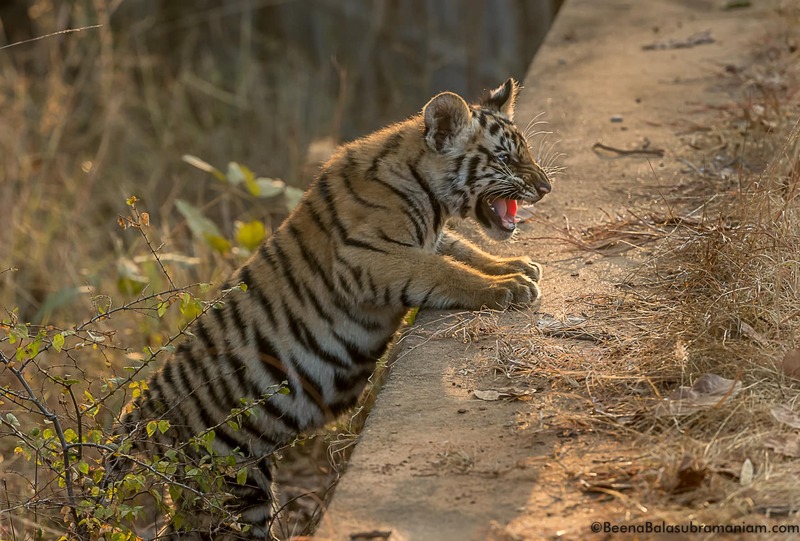 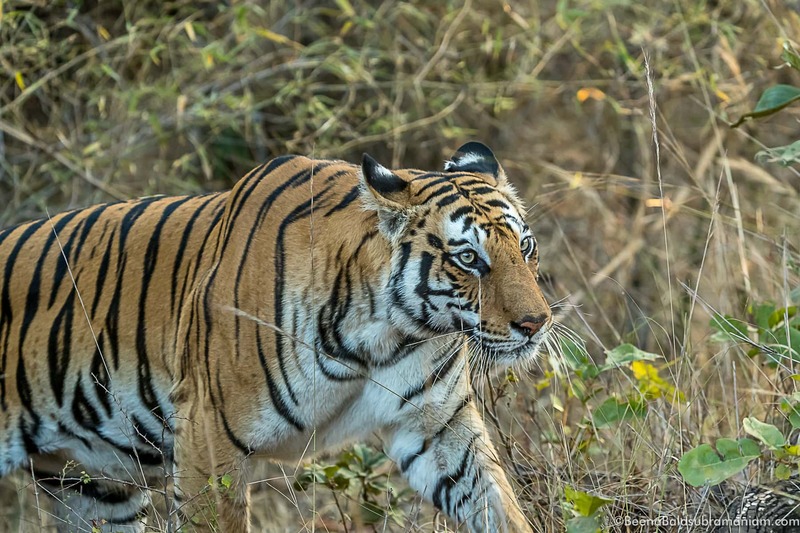 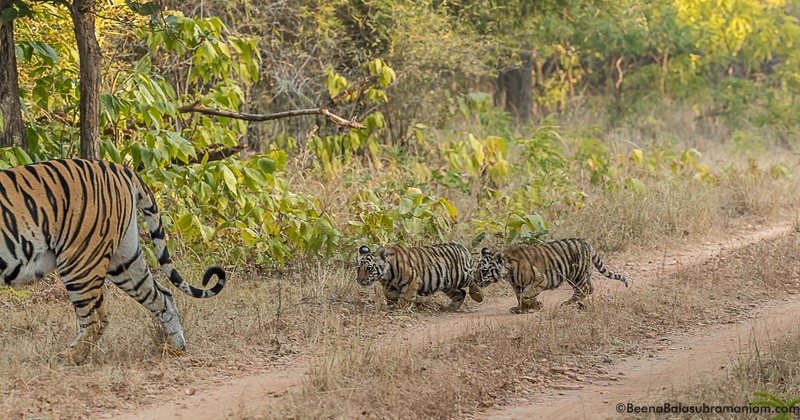 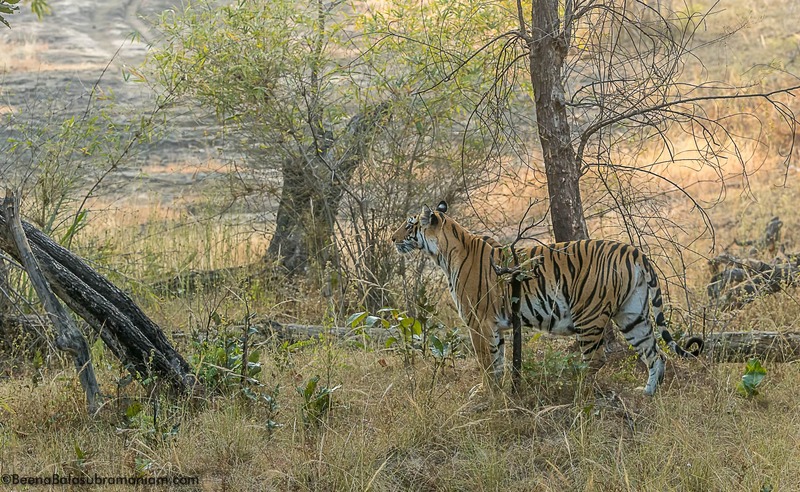 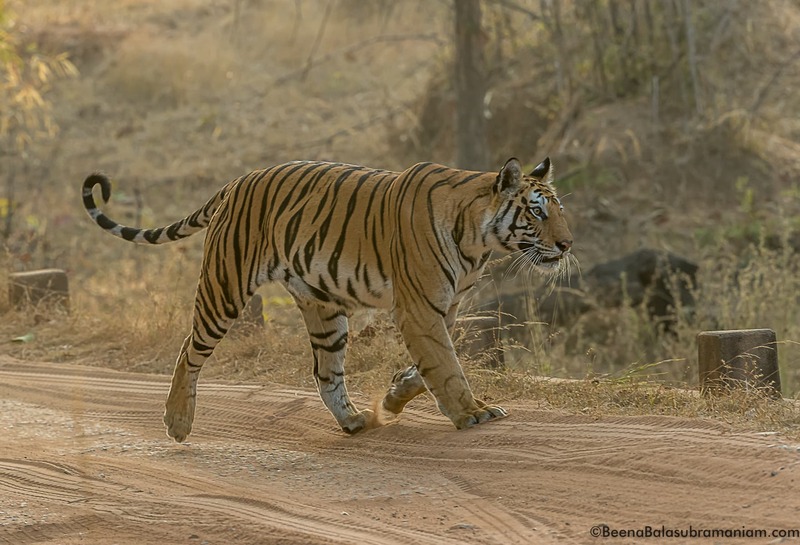 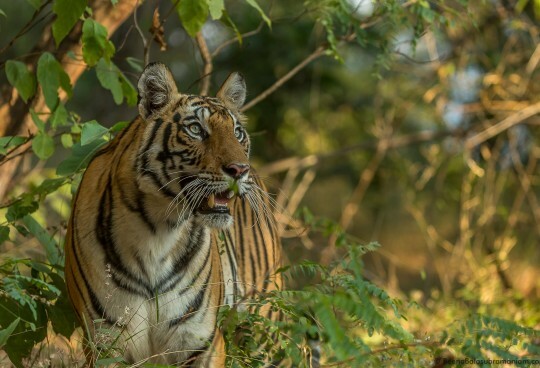 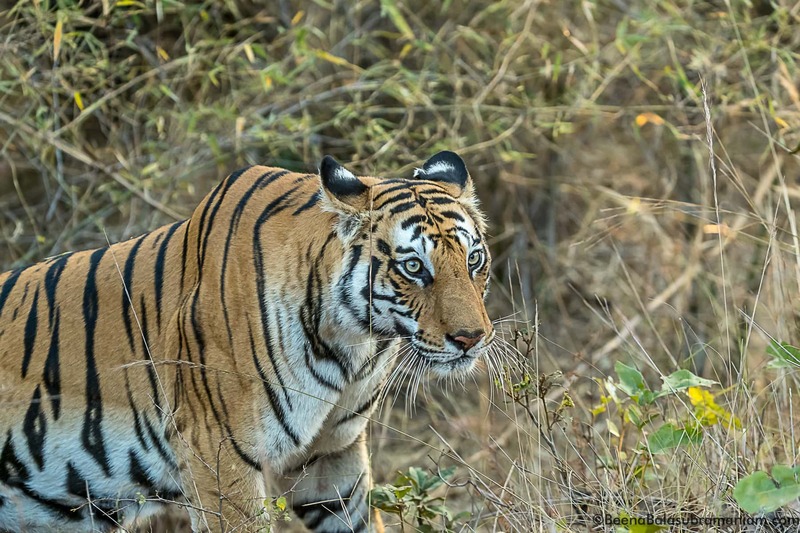 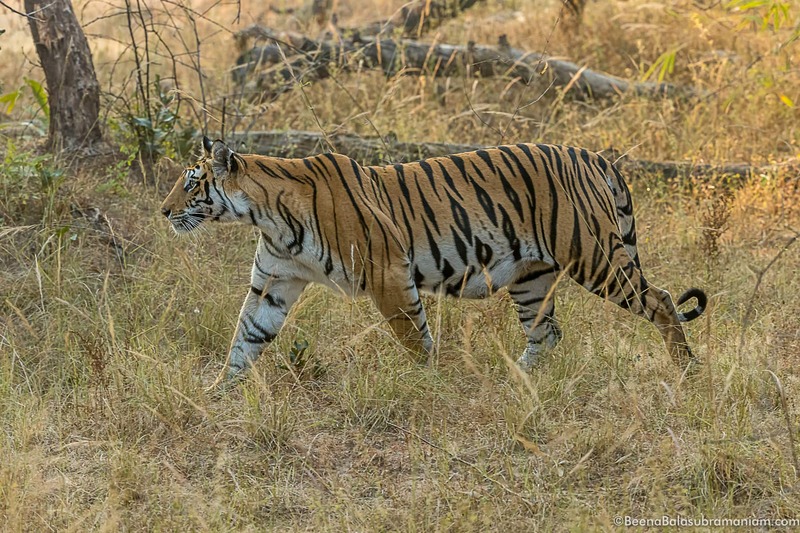 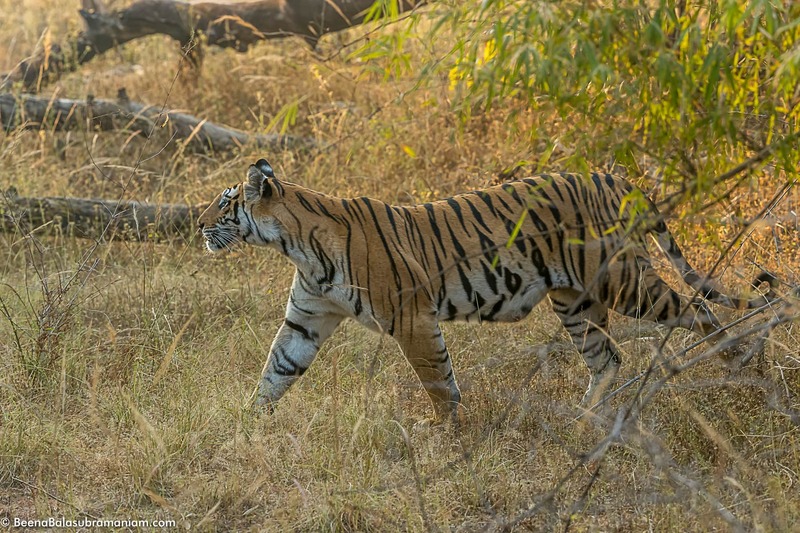 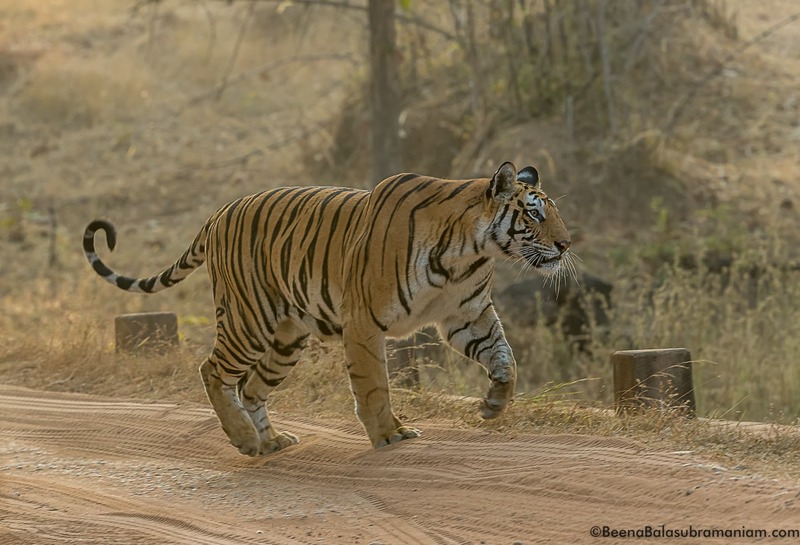 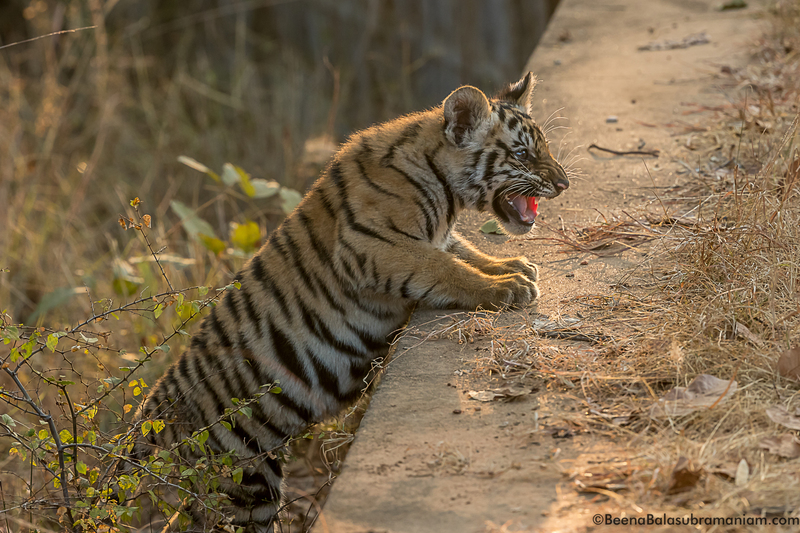 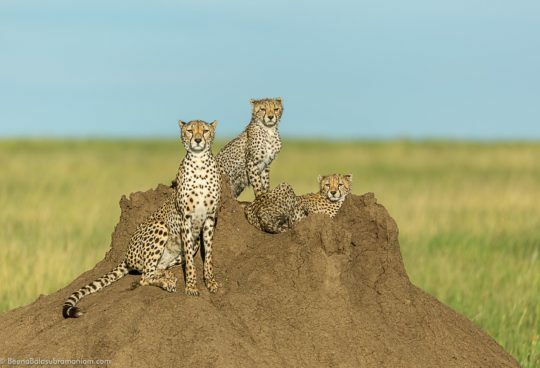 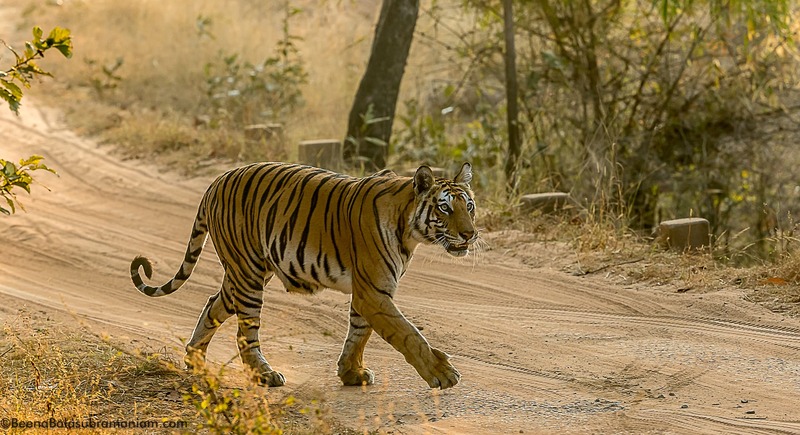 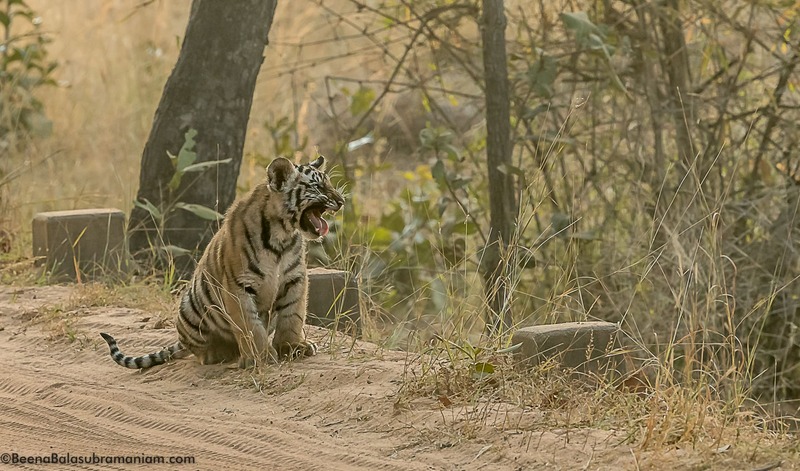 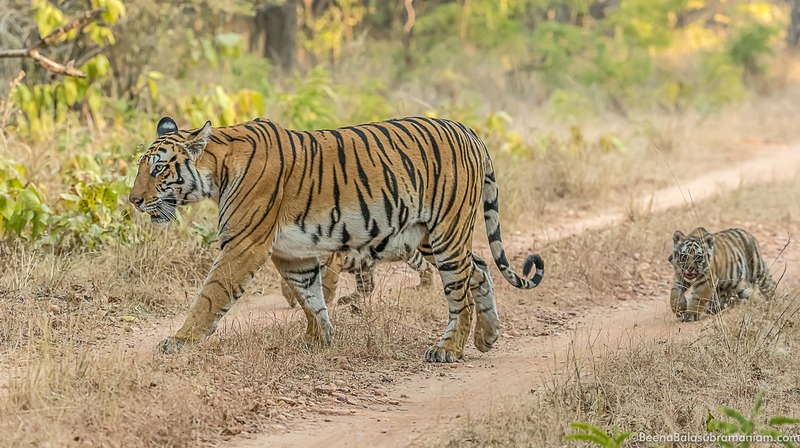 This Blog in my humble view, aims to catch the reactions of a mother tigress and her cubs as she is very anxious – this is the second time where the cubs have been spotted on the road. 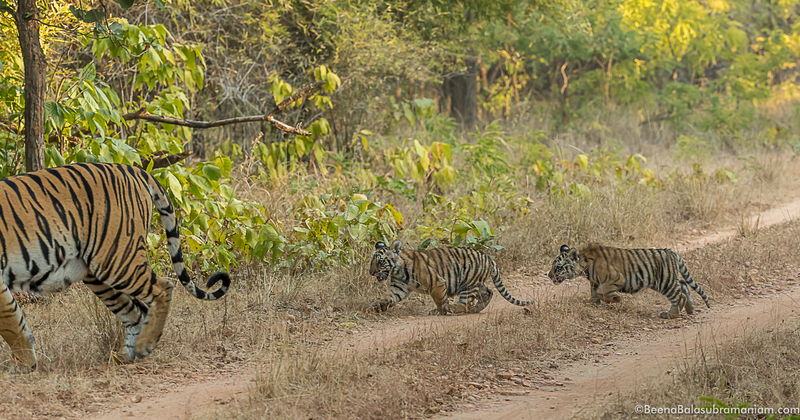 The cubs are attempting to cross a bridge for the first time and move back to their den amongst the sandstone caves. 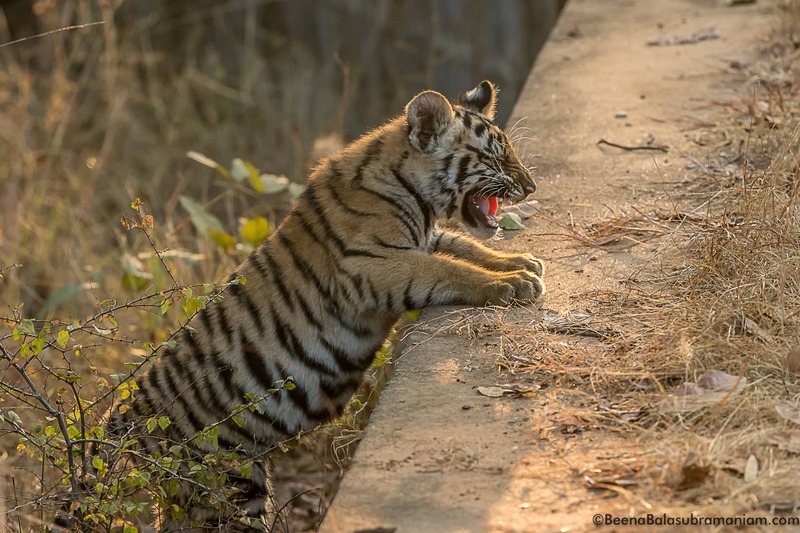 The cubs cannot climb up they are tiny, The building is the culvert of the bridge. 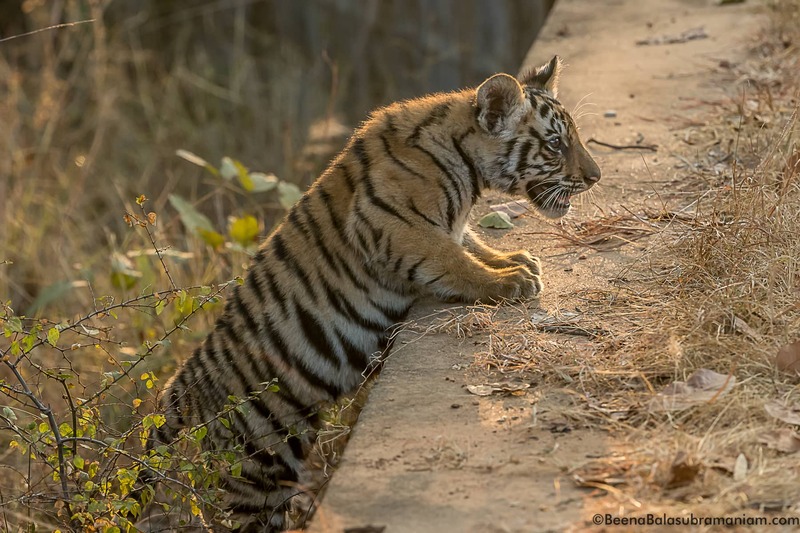 This has been an amazing experience witnessing these small cubs; I sincerely wish everyone gives them the space to flourish and grow. 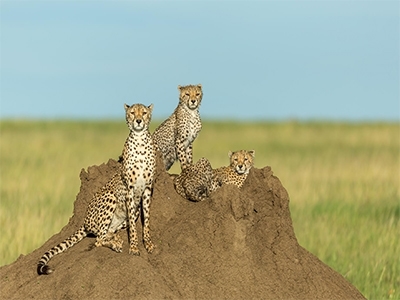 Hope you have enjoyed this experience like I have.